If you have not attended a film festival, Bow Wow is the one to go to! Especially if you love all things dog. 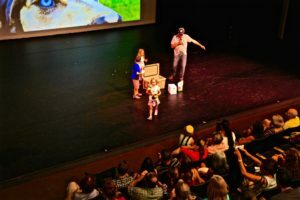 This most recent Colorado show in Boulder was the first film festival I have experienced. Before the films started, the art gallery outside the theater filled with people. 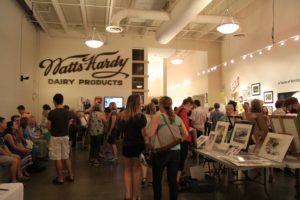 Sponsor booths for I and Love and You Pet, Petunia and Paradise for Paws all sporting prizes, photo opportunities and information. 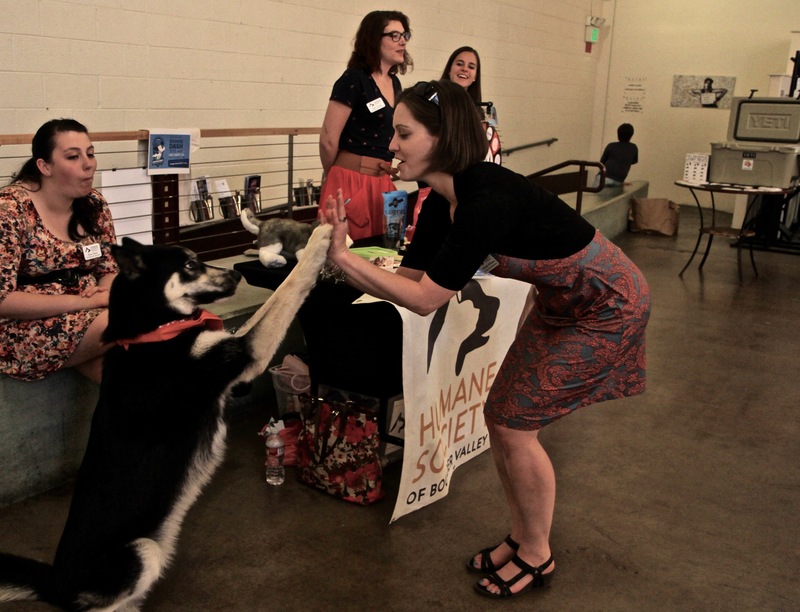 The Humane Society of Boulder Valley, as the beneficiary of the event, had a great set up of toys, treats and games. There were several volunteers from the shelter, including two great ambassador dogs. These dogs are well trained and have homes. 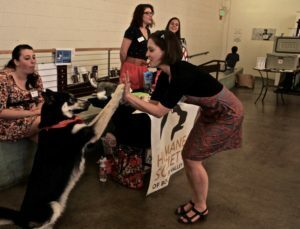 The attend events as representatives of the shelter to help their other furry friends find forever homes. During the show, the members of the audience were engaged with the films with the full range of emotions. People laughed and cried and clapped. Each film provides a small window into a dog’s life somewhere in the world. These windows show the diversity of life, even from a dog’s perspective. Intermission carries the excitement and energy of the crowd into the gallery then back to the theater. Some kids help with prizes giveaways, showing the fun loving vibe of the crowd. So come on down to a Bow Wow! Enjoy an awesome collection of movies and support your local community rescue!